People who diligently follow their horoscopes may claim that it's all just good fun. But on closer examination, this claim falls flat. Here's why astrology is potentially damaging to our understanding of science, relationships — and even our place in the universe itself. Astrology, though discredited for centuries, still remains wildly popular. Scarcely does a day go by when we're not told of how our astrological sign is supposed to govern our behavior or predetermine the day's events. Yet no explanation has ever been given — nor is one forthcoming — that can adequately explain the mechanism for which the alignment of the planets can influence our psychologies or the unfolding of the universe. It didn't help the astrological cause back in 2011 when an entirely new version of the zodiac was proposed, thus shifting everyone's sign from its mythical original position. Indeed, the whole premise behind astrology is predicated on some rather flimsy parameters; what we call "months" are actually cultural — and not cosmological — constructs. Moreover, our expanding universe, and all that's within it, is in a constant state of flux. Anyways, I'm not going to waste your time by debunking astrology right now. For that I highly recommend Phil Plait's comprehensive take-down, which you can read here. For the purposes of this article, I'm going to explain why astrology does you no good — and why putting any credence into your sign or horoscope is not just misguided, but potentially harmful. A recent poll by the National Science Foundation showed that more than 40% of Americans think astrology is a science — a rather shocking result (and no, it wasn't because respondents were conflating astrology with astronomy). Equally as frustrating is the news that it's at its highest level since 1983. The NSF uses this survey as a kind of metric for "the public's capacity to distinguish science from pseudoscience." 40% of Americans say astrology is science. Or did they mean astronomy? Demographically speaking, and in the words of Chris Mooney, much of the blame belongs to "younger Americans, aged 18 to 24, where an actual majority considers astrology at least 'sort of' scientific, and those aged 35 to 44." Other surveys have shown that women are more drawn to astrology than men. 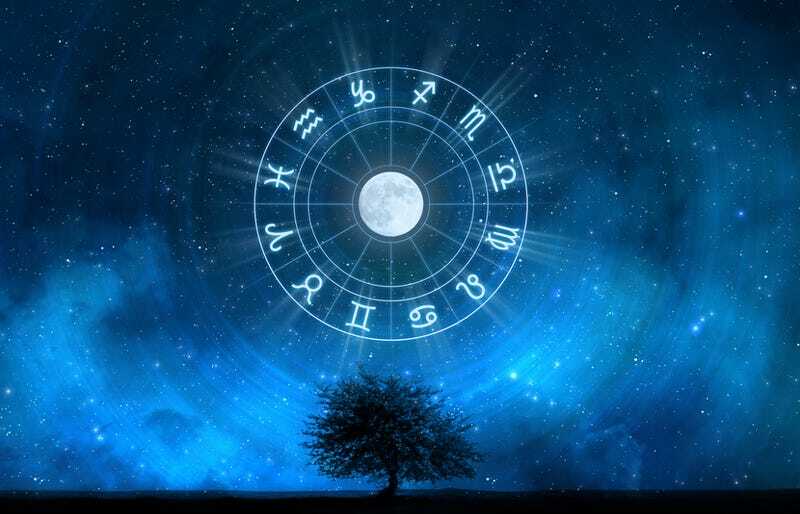 A 2005 Gallup poll revealed that 28% of women believe in astrology, compared to 23% of men. In Canada it's even worse, where 33% of women buy into it. But as York University sociologist Julia Hemphill tells io9, there's more to this statistic than meets the eye: women are specifically targeted by the popular media. "Astrology is an unempirical epistemology that's peddled to women as a way of understanding themselves and the world," she says. "All you have to do is open a 'women's magazine', and you'll inevitably see at least one or two pages devoted to astrology. The same pattern, she says, is evident in television programming for women. "While shows about 'mediums', and other supernatural phenomenon can be found on virtually any network whose mandate is to attract and keep the viewership of women, such shows are a rarity, if utterly nonexistent on the schedules of 'men's' networks," she says. "These networks are more likely to air shows that tend to focus on actual science." Hemphill says it's reasonable to question the degree to which women are ultimately deterred from learning about and engaging in genuine science — particularly when they're aggressively offered pseudoscience in its stead. The more we teach people to simply accept anecdotal stories, hearsay, cherry-picked data (picking out what supports your claims but ignoring what doesn't), and, frankly, out-and-out lies, the harder it gets for people to think clearly. If you cannot think clearly, you cannot function as a human being. I cannot stress this enough. Uncritical thinking is tearing this world to pieces, and while astrology may not be at the heart of that, it has its role. it seems to lend a cosmic significance to the routine of our daily lives. It pretends to satisfy our longing to feel personally connected with the Universe. Astrology suggests a dangerous fatalism. If our lives are controlled by a set of traffic signals in the sky, why try to change anything? Indeed, astrology works hand-in-hand with sentiments suggesting that the events in our lives are a "matter of destiny" and that certain things are just "meant to be." At the same time, it obfuscates the role of nature/nurture in the development of our psychologies, while ignoring the open-ended nature of the future (unless one subscribes to a rigid version of cosmological determinism — a rather heady philosophical problem about free will that's undoubtedly not on the minds of astrologers). Both astrology and racial stereotypes are based on a framework of belief that basically says: "Without even meeting you, I believe something about you. I can expect this particular sort of behavior or trait (stubbornness, laziness, arrogance, etc.) from members of this particular group of people (Jews, blacks, Aries, Pisces, etc.). When an astrologer finds out a person's astrological sign, he or she will bring to that experience a pre-existing list of assumptions (prejudices) about that person's behavior, personality and character. In both cases, the prejudices will cause people to seek out and confirm their expectations. Which brings up an excellent point: people who subscribe to astrology are often victims of an observational selection effect, a cognitive bias in which we observe those traits we've been primed to notice, while remaining blind to other characteristics. This causes us to assess people the way we either want to perceive them, or the way we expect to perceive them. Either way, it's typically a skewed — and biased — impression. Horoscopes work the same way. They're often crafted to work in tandem with our supposed "personality types," and the observational selection effect does the rest. Though perhaps I'm giving the horoscope writers too much credit; their daily "predictions" are often so vague and open-ended that they could apply to anybody at any given time. It's also important to note that astrology is also potentially harmful to our sense of self. If we feel that we're supposed to behave or feel a certain way, it could run in conflict with our "natural" or ingrained predispositions. Disturbingly, it could also lead to a self-fulfilling prophecy, changing our personalities, behaviors, and even decision-making processes in those directions which fall in accord with our astrological expectations. Indeed, it's very upsetting to hear about people who defer to their astrological sign or horoscope when making important life decisions. Online dating sites are a good example of this, where it's not uncommon for a prospective partner to literally turn down a potential match based solely on an "incompatible" sign. Talk about missed opportunities. Astrology was simply one of the ways I coped with the fear I felt after my husband almost died... Was astrology one of the reasons [further attempts on his life did not occur]? I don't really believe it was, but I don't really believe it wasn't. Sorry, Nancy, but it wasn't. Astrology is bunk — a colossal waste of time, money, and emotional energy. You're better off without it.